There are so many great conversations on the Hotline—it's hard to choose a favorite. But we'll be doing it, once a week, to spread the wealth of our community's knowledge—and to keep the conversation going. 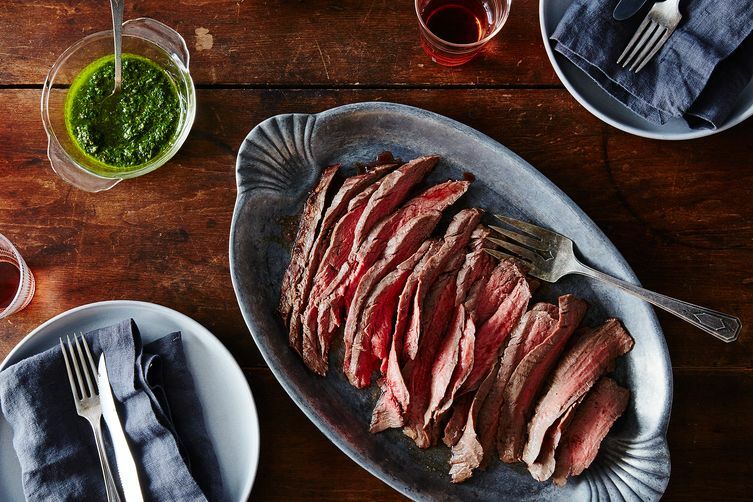 Today: We're getting down to the meat of marinades. If you’ve ever had escabeche, you know the wonders of marinated fish. It tastes fresher, almost, than plain fresh fish, because the acid in marinades weakens aldehydes—the compound responsible for accentuating that fishy smell a lot of folks find unappealing. Tofu—the little sponge it is—is better with a marinade. The same can be said for other soy products, like tempeh. Vegetables, too, can benefit from an herbaceous marinade that coats every slice of squash or stalk of broccolini. Slices of meat, marinated quickly for about 30 minutes, are one of your best shots at getting flavor into meat without degrading the meat (see below). Marinades are acidic, and acids denature proteins (a.k.a. meat). “The acid in marinades does weaken muscle tissue and increase its ability to retain moisture,” writes Harold McGee in On Food and Cooking. “But marinades penetrate slowly, and can give the meat surface an overly sour flavor when they do so.” Sour meat? Nuh-uh. As the Los Angeles Times points out, meat is mostly water. An oily marinade is mostly fat. Water and fat don’t mix, so that marinade’s not going to get past the meat’s exterior all that much. If you’re going to use a marinade, make it salty—which makes the meat more penetrable—and with bold flavors like onion, garlic, and shallots. McGee also suggests using a cooking syringe to inject the meat with whatever flavorful liquid you’re working with, essentially marinating it from the inside out. Let’s just say it: The best seasoning for high-quality meat is salt and pepper. Our Hotline agrees, and so do we. Verdict: This is a case-by-case basis. However, if you’re working with a good piece of beef or free-range bird, let the meat do the talking, not the marinade. I've never had flank steak so good as the first time I marinated it. The marinade was lime juice and fajita seasoning (salt, pepper, MSG, and a few other things). Just enough to cover the meat in a ziploc. Half an hour in the fridge was great, and an hour was awesome. For years I went to some effort to marinate flank steak and always thought the marinade was what made it so tasty. Then on one occasion, short on time, I just cooked it, ready to apologize, yet it was just as good. Amazing. But I still like to serve it with a little sauce on the side, a sauce somewhat similar to what I had been using in the marinade. Oil, sliced scallions, bit of garlic, whatever suits at the moment. Sashimi: the ultimate expression of raw fish. The Japanese get it, but then again they set the bar higher than any other industrialized nation on the planet for what they consider fresh fish. Tofu: Again, let's defer to the Japanese. When tofu is top quality, tofu aficionados consume it very plainly (yudofu), with a sprinkle of salt, no sauces, etc. The key takeaway here is marinades are more likely to be effective when you don't have the best quality ingredients or if you simply haven't developed an appreciation for a top quality item in its purest form. Things like meat marinades and veggie marinades are essentially pre-cooking sauces. That said, there are a handful of things I will marinade and almost all of them are for items to be grilled because it's easier applying the marinade in your kitchen, rather than try to brush them on over a hot grill. The first is grilled portabello mushrooms. I par-cook the caps by steaming them, then marinade in olive oil, an acid (balsamic vinegar or lemon juice), salt, pepper, maybe garlic or onion. Because it is mostly cooked, it is readily absorbing liquid. I typically try to leave the caps in the marinade for an hour or two before grilling. Yes, this is one of the few items that actually absorb a marinade in a short period of time. The second is kebobs. Of course, one can baste the kebobs while they are on the grill, but I find that it is easier to "marinade" beforehand, since brushing on wet marinade in a relatively cool kitchen is easier than standing over a hot grill trying to apply the same mixture with a mop/etc. The other main exception are dry rubs (as opposed to wet marinades) which usually go on at least 24 hours before cooking because you can't effectively apply a dry rub during the middle or end of the cooking cycle.